We chose Toronto as the main base for our 2016 Summer holiday – an easy decision as it is within touching distance of most of the places we wanted to visit in Ontario; including my husband’s sister whom, we’d kept promising to visit before getting distracted by the beautiful islands of the Indian Ocean (Mauritius, Seychelles and the Maldives). It was a great opportunity to visit her and meant the boys could hang out with their cousins for a couple of days while we all caught up. The main benefit of choosing Toronto as a base is that there is a lot to see and do in and around the city itself, all easily accessible from some great luxury hotels, it is also in close proximity to Niagara Falls, Lake Ontario and Algonquin National Park. This ticked all the boxes for us as we wanted to explore the Falls and Niagara on the Lake and the surrounding area, but we also wanted our Canadian adventure to include exploring the vast interior of maple hills, rocky ridges, and thousands of lakes that Algonquin has to offer. PLUS the Canadian Optimist Sailing Nationals were held on Lake Ontario, so the boys had a week of sunny sailing from Ashbridge Bay Yacht Club competing against other children of their age from Canada and the USA. One of our highlights included riding on the Maid of the Mist at Niagara Falls. It’s clear why the Falls are considered the number one attraction in Canada, and while not officially a ‘Wonder of the Natural World’ it certainly is full of ‘wonder’ and beauty. The Maid of the Mist took us right up to the falls – thankfully we all had our ponchos and managed to keep dry! 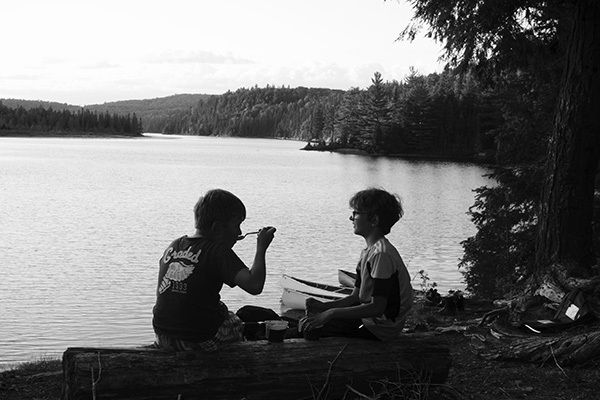 We loved our trip to Algonquin National Park which was carefully planned with our expert guide. The only way to explore the interior of this park is by canoe (officially known as portaging) or on foot. 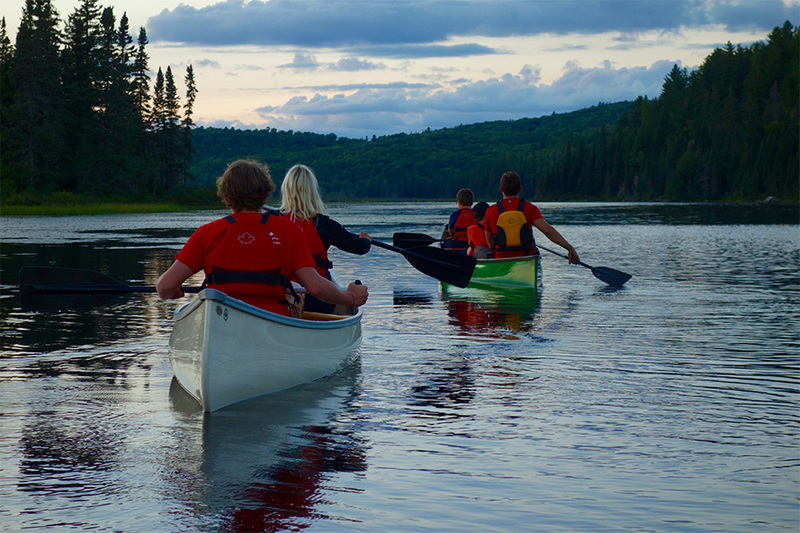 We chose to explore by canoe and off we went with our guide for 3 days of camping, cooking on campfires, climbing waterfalls, swimming in fresh water lakes and searching for wildlife, whilst avoiding being hunted by bears! 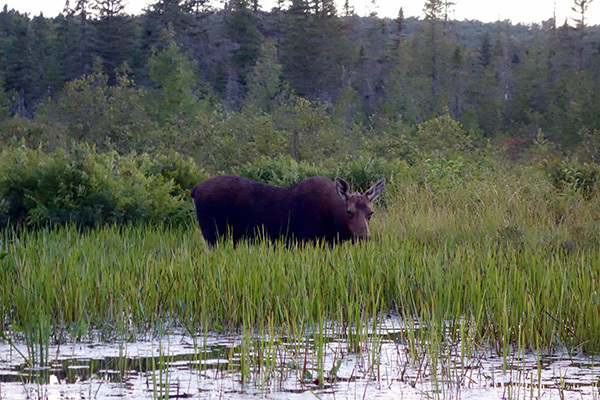 Sitting out around a campfire under a blanket of stars with not a sole around was really quite special and we were even lucky enough to get up close and personal with a moose grazing in the water lilies during one sunset paddle – a truly magical experience. 2017 is a great year to visit Canada as they celebrate their 150th Anniversary as an independent nation. You can see all the social activity on #Canada150. To mark this anniversary, Parks Canada is offering free admission to national parks and historic sites across the country including Nova Scotia’s Halifax Citadel, Newfoundland’s L’Anse aux Meadows Viking settlement or Prince Edward Island’s charming Green Gables Heritage Place. 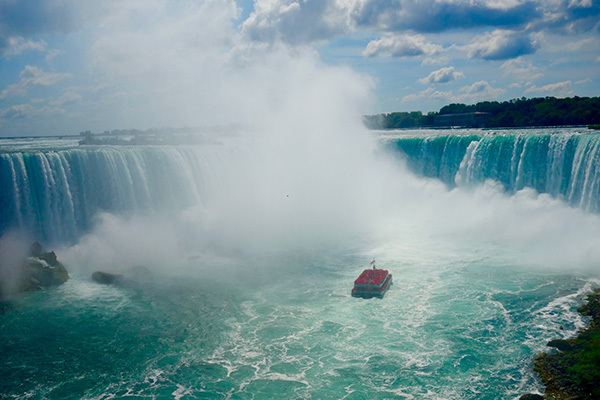 Of course, Canada is not just about Niagara Falls and Algonquin National Park – there are so many great sites to see. Toronto is the perfect base if you’re looking for culture, entertainment and adventure; whether you are ‘going solo’ or travelling with the family it’s the perfect home base. There were so many other highlights on our trip it’d be impossible to list them all – here are just a few more that stood out. CN Tower – One of Toronto’s most well-known landmarks – take the 58 second elevator ride to the LookOut level – mind blowing! Royal Ontario Museum – One of the largest museums on the North American continent is made up of three buildings with multiple art, archaeology and science exhibitions. Toronto Zoo – The largest zoo in Canada, is best known for its pandas and interactive conservation activities. Provincial and National Parks – for zip line rides, Segway tours, mountain biking, portaging in the summer months and in winter time skiing, snowshoeing, snowmobiling and dog sledding. The Islands – The Toronto islands make for a wonderful getaway from the hustle and bustle of the city. A short ferry ride away, Centre Island is family-friendly with its kid’s entertainment areas and bike rental locations, and if you’re looking to hike and enjoy some nature, Ward’s Island is the place to go! Canada’s Wonderland – This huge amusement park houses the largest variety of roller coasters in all of North America, and also contains a 20-acre water park. For further information on what Canada has to offer as a holiday destination do drop us a line and let us send you on your next adventure! Make sure you stay up to date with your bespoke travel agents in Ascot/Sunningdale by following and liking us on Facebook and Instagram.